gratuito para uso no comercial, y para la enseñanza. 78 Studies and Exercises for professional guitarists. 44 Pages. b) version para 2 guit. Jürg Hochweber was born in 1951 in Switzerland. 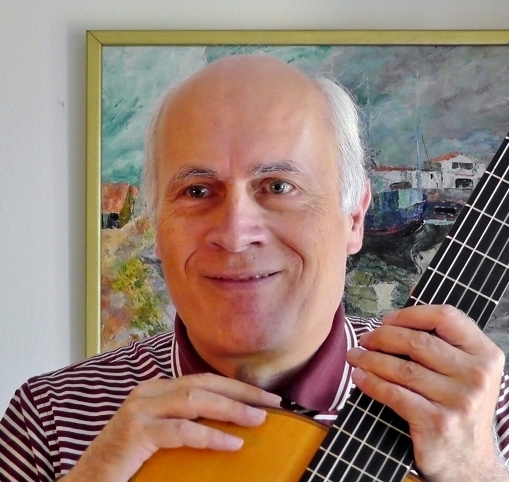 He has written many teaching books and composes guitar music in a variety of styles. His chief aim is to make maximum use of guitar characteristics in order to achieve the best effect with the slenderest means. In this way even a beginner will soon attain satisfying and encouraging results. He has made a speciality of new teaching methods, notably kinesiology, or the science of motion, which also makes use of acupressure, gymnastic and mental training. Jürg Hochweber, Hardstr. 30, CH-5430 Wettingen, Suiza Tel. 0041 56 426 22 37 . E-Mail: hochweber@bluewin.ch Mi idioma es alemán. Entiendo inglés, francés y (poco)español.